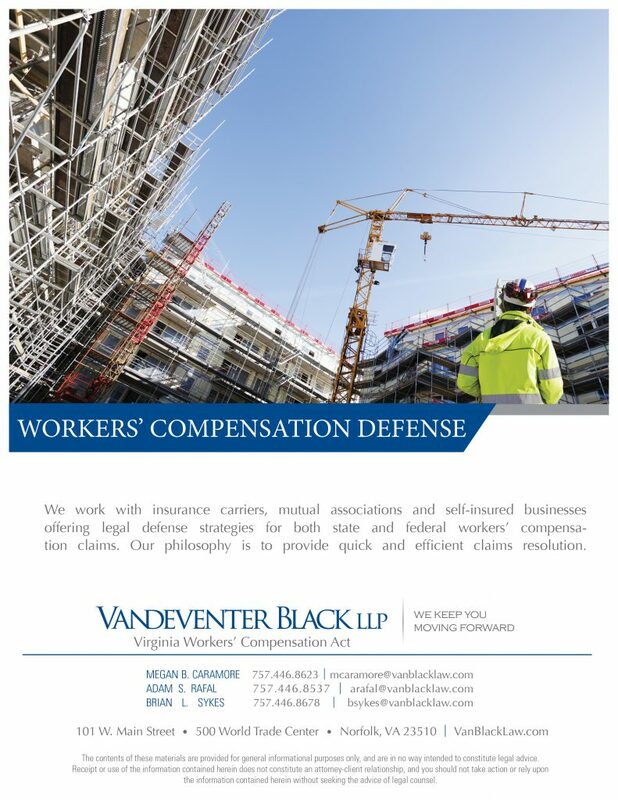 Our Workers’ Compensation Defense team works primarily with insurance carriers, mutual associations and self-insured businesses – offering legal defense strategies for both state and federal workers’ compensation claims. We operate on a simple philosophy, quick and efficient claims resolution. To accomplish this, we promptly provide thorough analysis of the case including your rights and responsibilities. We then address the best options for claim resolution, whether that means engaging in settlement negotiations, mediation, or initiation of litigation proceedings. If litigation does become necessary, we offer an aggressive strategy designed to bring about file closure. We adhere to individual client-generated reporting requirements and we make definitive, logical recommendations to our clients so they can make appropriate recommendations to their clients. We are responsive to our clients’ needs and maintain open communication throughout the claim assignment. We have over 100 years of combined experience in defending workers’ compensation claims. We are highly regarded in the local community and throughout Virginia. We are well-known to Commissioners and Deputy Commissioners, District Directors and Administrative Law Judges as professional and effective defense attorneys. We are known by claimants’ attorneys as smart, tough, ethical lawyers. Our experience and reputation will assist you in the economical resolution of claims. We represent employers located or conducting business in Virginia, employers with employees traveling through or injured in Virginia, and Virginia-based employers conducting business across the country. In addition, the depth and experience of the practice extends beyond state workers’ compensation and employment issues. 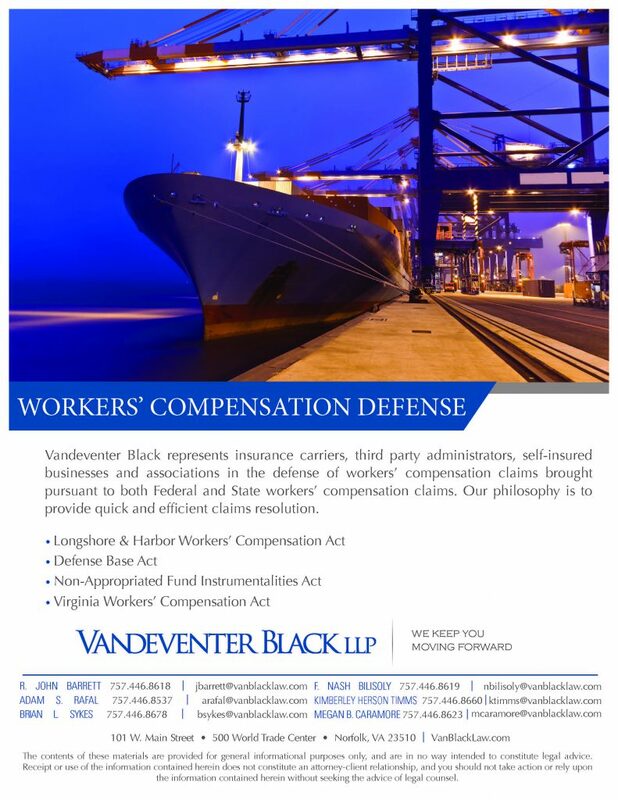 We are renowned in the maritime and shipbuilding industries for our experience and success in Longshore and Harbor Workers’ Compensation Act (LHWCA) defense, including the Defense Base Act (DBA) and Nonappropriated Fund Instrumentalities Act (NAFI) cases, and provide legal services across the country on these claims. We advise all employers and insurers on the multifaceted aspects of claims filed by injured employees, including disability and employment issues. The workers’ compensation group is part of the Firm’s Labor Department with litigators experienced in all administrative agencies and state and federal courts.